Our new Premium service with deliveries in 1 minute at the Menorca Airport will allow our clients a faster, simpler and more agile car rental in Menorca.. Final price of the vehicle rental. 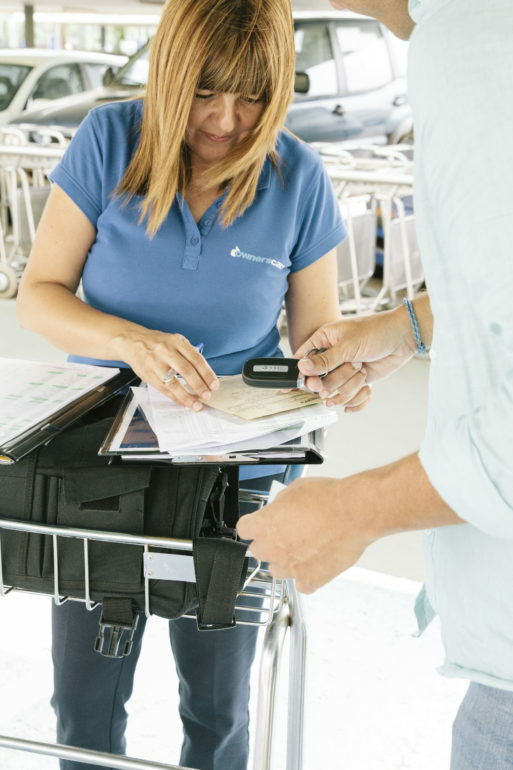 Upon arrival at the Menorca Airport, one of our agents will be waiting for you just outside the terminal. You should not worry about anything and make long lines at the counter of the car hire company at the Menorca Airport. Our PREMIUM car hire service will allow our customers a much faster, simpler and more agile service. Our agent will give you the keys of the rental car right there once the contract has been signed. In this way, you will have a car hire in Menorca from the moment you land at the Menorca Airport. Book your car hire in Menorca in advance on our Ownerscars website and benefit from special offers and discounts on car rental at one of our offices, including the ports on the island and the main tourist areas. Enjoy your stay in Menorca by booking a rental car with the leading car rental company Menorca.